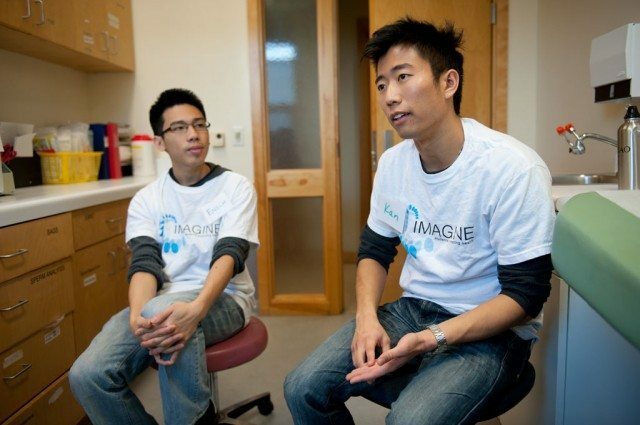 Enoch Ng (left) and Yick Kan Cheung, co-directors of the IMAGINE clinic. 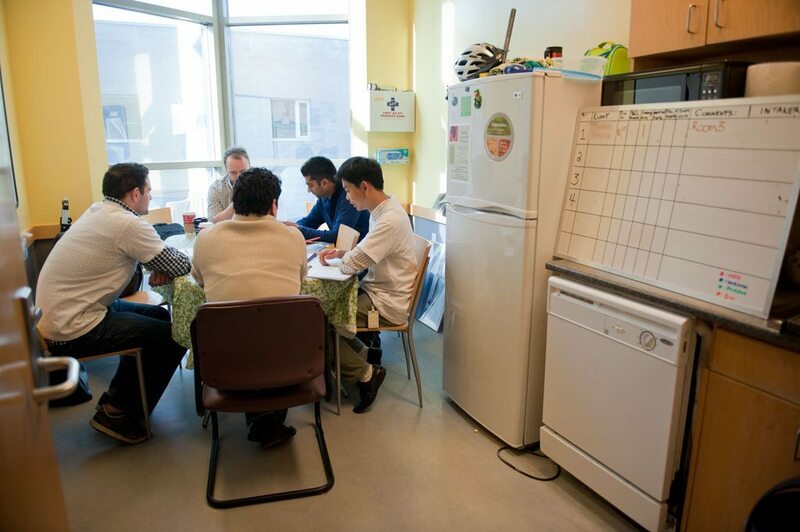 The life of someone studying in a medical field is a busy one, but for a group of University of Toronto students, even the hectic schedule does not stop them from taking on an extra project. 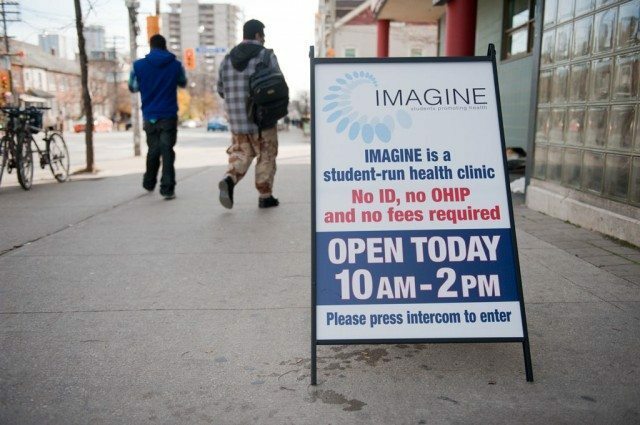 They are volunteers at a clinic called IMAGINE, an acronym for Interprofessional Medical and Allied Groups for Improving Neighbourhood Environments, which runs out of the Queen West Community Health Centre (168 Bathurst Street) on Saturdays. Patients do not need a health card or identification to be seen. Most who come through their doors are homeless or are new immigrants. 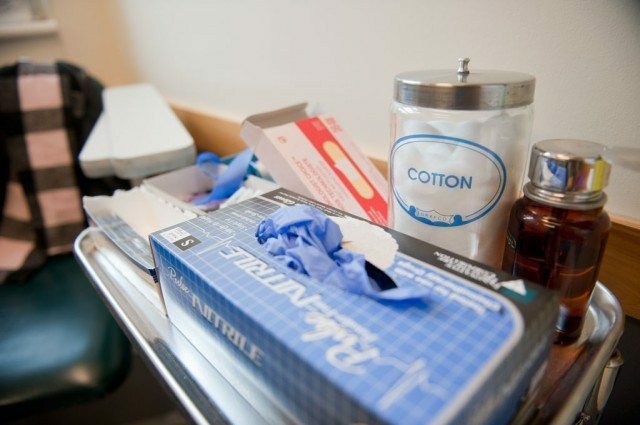 The clinic is organized and run by students who see patients under the supervision of a professional in their field. Neither the students nor their preceptors get paid for their hours. They do not accumulate any school credit. But for them, the experience is worth it. “We’re serving people. We’re serving the population that needs it most. And we’re potentially changing people’s lives and allowing them to get even that first point of access into their lives and seeing what can be changed,” explains Yick Kan Cheung, a 23-year-old student of social work who is one of IMAGINE’s current co-directors. That was one of the key goals when IMAGINE was originally discussed in May 2007. 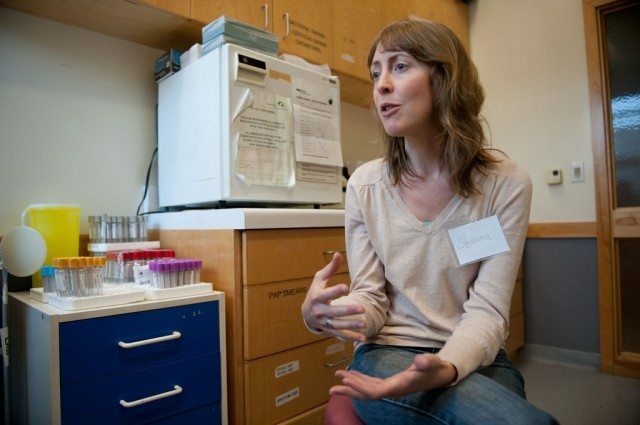 Sagar Dugani, a student in the University of Toronto’s MD-PhD program, came up with the idea. “I realized we didn’t have a lot of programs directed to the health care needs of marginalized populations in Toronto,” Dugani says. Volunteer students and preceptors discussing a patient case. 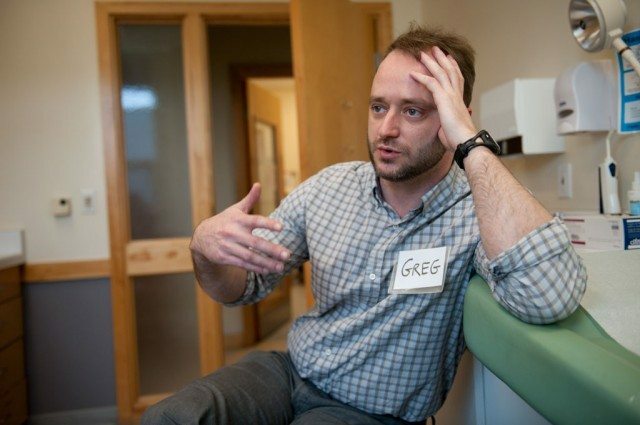 So he, with some others, began exploring how to create a clinic that brought together undergraduate students in different disciplines, in order to provide medical care to those who might struggle to access it otherwise. Dugani was just about to turn 27 years old at the time and a year and a half into the MD-PhD program at U of T.
Students began by running health care workshops out of St. Christopher House in the fall of 2008, learning about the health and social issues that were of interest to the people they wanted to reach. They approached different faculties to gauge their interest in and support for a student-run clinic. They secured a space to see patients, at the Queen West Community Health Centre. The clinic was finally ready to see its first patients in October 2010. Dugani describes that first day as an exciting one. Outside of the Queen West Community Health Centre, on Bathurst south of Queen. The clinic has continued to run ever since, with a break during the summer months. Dugani, who worked as the co-director during the first year of operation, says there has never been a shortage of volunteers. Each week, the clinic is staffed by four students. There is one medical student, one nursing student, one pharmacy student, and one from social work. In addition, four preceptors—one from each discipline—are present to supervise them. IMAGINE hopes to expand the range of services they can offer, including adding other volunteers from disciplines such as physiotherapy or dentistry. “How often do you go into a clinic and you get to see a nurse, a doctor, a physiotherapist, a social worker, and a pharmacist?” asks Shawna Ardley, a nurse with Toronto Public Health who volunteers as a preceptor for IMAGINE. Even during weeks when few people come through the doors, the students still say there are lots of learning opportunities. 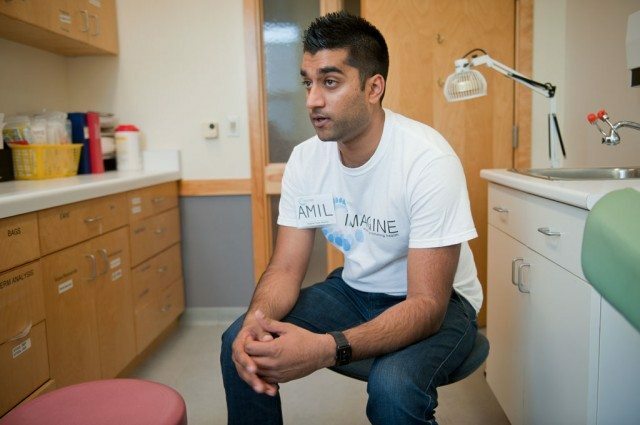 Amil Riaz, a second year social work student, says he learned a great deal in his three weeks at the clinic, even though the patient volume averaged two per day. “[There is] big, big value, because you get to learn from other students and other preceptors,” he says. The clinic’s setup gives the students the chance to see the benefits of an interdisciplinary practice first hand, “to actually get a better feel for how they can take full advantage of everybody’s resources to be able to provide a higher level of care than what we might be able to do individually,” says Mahmoud Suleiman, a volunteer pharmacy preceptor. Four minds, he says, are better than one. Social work preceptor Greg Mann. Riaz says the biggest thing he learned during his time at the clinic was to first find out where the patient is at and work up from there. Sometimes, he describes, for the social workers, that means going in and beginning by just asking how the person is doing. Amil Riaz, a social work student and clinic volunteer. Students may or may not see the patients with their preceptor. Sometimes, Ardley says, she would just be an unnecessary presence in the room, in situations where the student is comfortable enough to do the assessment alone. However, the preceptors are always on site to help consult as needed. Cheung and Ng’s goal is to continue to grow the clinic, expanding the services they can offer and one day branching out to more than one location. Cheung says they also hope to apply for more grants in the future to help with funding. Currently, the clinic receives donations from various sources, a lot of them different student bodies or organizations, as well as some corporate sponsors. This pays for the receptionist and a security staffer every week, as well as cleaning fees for the clinic and reimbursement for supplies and medication. Cheung adds that it is an eye-opening experience and one that he hopes students walk away from feeling differently. It’s about “allowing students to really see what exactly is going on in the lives of these [patients],” he says.